Photo by Chris Cockram via Free Images. Long Islanders and tourists alike love to take a break from the sun and the surf on Long Island and spend a weekend in Atlantic City. Gambling, fine dining and so much shopping make Atlantic City one of Long Island’s leading competitors for tourism on the east coast. Unfortunately, driving between Long Island and Atlantic City can be an ordeal, especially if you are planning to spend the entire night out at the casino. Luckily, since so many Long Islanders love to visit Atlantic City, you can catch up on your beauty rest while riding as a passenger on the convenient bus transportation provided by a handful of the region’s most popular bus companies. Another option is to charter a party bus, or limousine so you and your friends can travel safely and responsibly. LongIsland.com offers an extensive list of reviewed and rated party bus services in Nassau and Suffolk counties. Once there, you’ll be ready to enjoy the numerous casinos in Atlantic City, each doubling as a hotel and restaurant as well. Offering daily service from Patchogue, Hauppauge, Bay Shore, Commack, West Babylon, Massapequa, Hicksville, Westbury, Lynbrook, Franklin Square, Garden City Park, and Wantagh every morning, Ground Transamerica make for a convenient way to get from Long Island to Atlantic City. Once there, GTA stops at Bally’s, Showboat, and Tropicana. If you’d prefer to have a more intimate ride with friends or family, but still don’t want to deal with the hassle of driving to Atlantic City you can turn to one of Long Island’s great limousine companies. In addition to limos for smaller parties, many companies have their own charter buses which can carry dozens of people from LI to AC and back again! 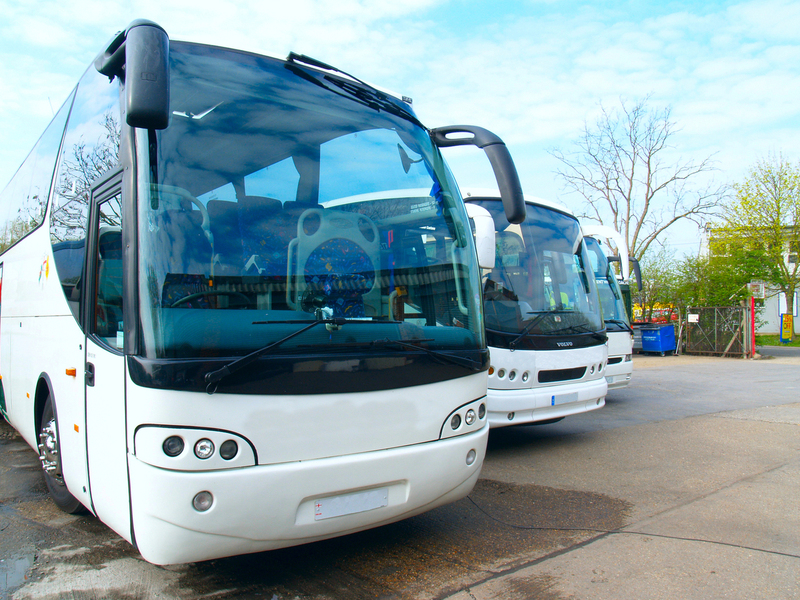 With daily services from Long Island to the exciting resorts and casinos of Atlantic City, you'll be riding in comfort and style aboard one of the McCarney motorcoaches! Sit back, relax and enjoy the ride. Pickup locations are located in: Deer Park, Bay Shore, Copiague, Massapequa, Wantagh, Hicksville, Westbury, Mineola and New Hyde Park with the first stop (Deer Park) getting picked up at 7:10 a.m. and the last stop (New Hyde Park) getting picked up at 8:55 a.m.
Bally's – Famous for its grandiose spa, Bally’s provides the perfect combination of pampered relaxation and exciting gaming. Not to mention ten restaurants, one pool and five shops! Borgata Hotel Casino & Spa – Providing top DJs at the club, hot music acts on the stage, and all sorts of treatments at the spa, the Borgata offers a wide variety of entertainment to go along with its casino experience. Be sure to check and see who is performing while you're there! Caesars – Featuring Nero’s Chophouse & Sushi Bar and the Palace Court Buffet, Caesars Atlantic City will have you living like a Roman all while they serve up some of the best food in Atlantic City. Golden Nugget – Located right on the water of the only marina in Atlantic City, the Golden Nugget offers a breathtaking view to accompany its many alluring restaurants, bars and games. Harrah's – There's no denying it, the second you walk through the doors of Harrah's you are greeted with fun, excitment and a plethroa of things to do! Don't forget to check out Pool After Dark, their exclusive night club with resident spinmaster DJ Pauly D! Resorts Casino Hotel – The name says it all. At resorts you’ll find luxurious suites, great shows, plenty of games, delicious food, the legendary Margaritaville, and everything else needed to make a perfect vacation. Tropicana Casino Resort – Live it up at the Tropicana Casino Resort! With over twenty dining options, and twenty retail shops, you'll have your hands, and your stomach, full in between games!